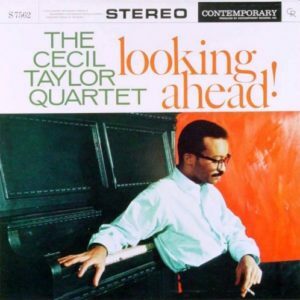 The Cecil Taylor Quartet – Looking Ahead! 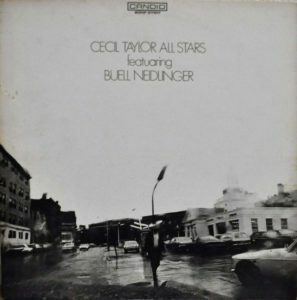 Early Cecil Taylor albums occupy an unusual space. Ignored upon release, fans who came in later after Taylor ramped up the density about four times over frequently find the early sessions beneath them. That sort of view tends to equate density with quality, or less structure with higher quality. While Taylor certain has great stuff that is dense and free, it is worth giving due to his excellent work on the early discs too. Here he plays like Thelonious Monk on steroids, with angular lines that toy with dissonance and have a highly percussive quality. His melodic and blues sensibilities get a more direct and open airing. A common critique of these early albums is that the sidemen are not with Taylor, or not willing to go as “far out” as him. Hogwash. This band is with Taylor all the way, who frankly isn’t playing “free jazz” here. But there is nothing wrong with that! Play this in a blindfold test and someone might think it is the great lost Thelonious Monk album. What is not to like about that? Frankly, it took Taylor a long while to fully develop and realize his unique style, and his best “free” albums were not to arrive for a few years — even then Taylor occasionally hid a lack of ideas behind a massive wall of dense chaos. But enjoy this one too for what it is: adventurous hard bop that goes to the limits of what still has reference points in that tradition. And Earl Griffith on vibes adds a really nice tone/timbre that complements Taylor’s playing well. Taylor knew the jazz tradition, and this album is some of the best evidence. 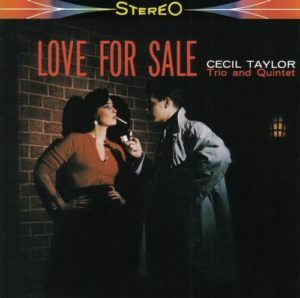 So-so early Cecil Taylor album. Compared to Jazz Advance and Looking Ahead! Taylor’s own playing is hit-or-miss. The rest of the band mostly plays conventional hard bop without bringing anything particularly interesting to the table. It has less awkward bits than Stereo Drive/Hard Driving Jazz, but also with fewer of the intriguing and daring bits. Decent enough, but pass on this in favor of the better early Taylor albums. 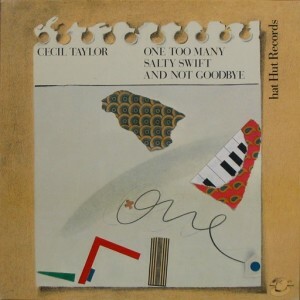 One of many live Cecil Taylor recordings from the 1970s, Live in the Black Forest was recorded less than two weeks prior to One Too Many Salty Swift and Not Goodbye with the same Cecil Taylor Unit band. Frankly, this is not as good as some of the others of that era. There are two side-long tracks. “Sperichill on Calling” is great, with an especially strong showing from Ramsey Ameen on violin, and generally more separation between the players. “The Eel Pot” on side one is fine, but the sometimes unrelentingly chaotic performance kind of runs together after a while. If the entire recording is analogized to a debate, then “The Eel Pot” is a bit combative, and “Sperichill on Calling” has more sympathetic goading and expansion of argument. While listeners can’t really go wrong with any Taylor recordings of this era, Live in the Black Forest might be reserved until after some of the others. 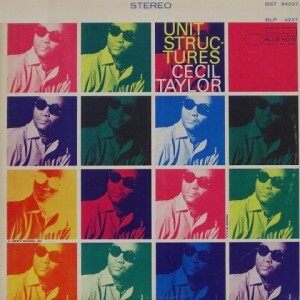 Cecil Taylor brought a composer’s sense to improvised music. His percussive use of the entire piano keyboard was unlike anyone else’s. His harmonic sense was also unique. Not to mention that his “unit structures” were tiny fragments built up by his combo in improvised songs. The “superstar” group rehearsed Unit Structures extensively before recording it for Blue Note, which distinguishes the music from strictly spontaneous “free jazz”. The resulting album is essential listening. 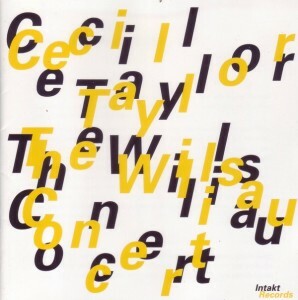 It is useful as a benchmark to have a familiarity with someone like serialist composer Anton Webern to appreciate (by comparison and contrast) how the composing/improvising linkage in Cecil Taylor’s intense, atonal music operates — another useful reference is the chapter on Taylor in Ekkehard Jost‘s book Free Jazz. A true high point in 1960s music, Unit Structures has integrity and honesty at all times while still remaining utterly fascinating. 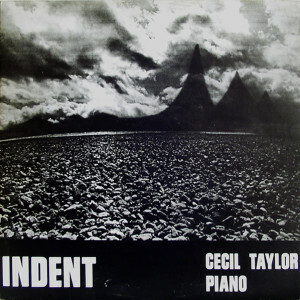 Quite possibly the most high-fidelity Cecil Taylor solo piano recording in existence. It would be hard to find another artist as deserving of such attention to detail. The performance is quite excellent too. The speed, percussive force, and density of the music provide an intensity that is very nearly that of Taylor’s monumental 1970s recordings Silent Tongues and Indent, despite his advancing years. It’s so great to see someone as boldly daring and iconoclastic as Taylor still able to keep making music like this, and for music that has changed so little over the years to still sound so fresh. It goes to show that with enough conviction the power of statements like this almost never fades. Taylor continued to expand his palette on this mid-1980s solo outing. Although known as an innovator for approaching modern jazz from a background in modern classical, here he incorporates a few R&B influences. Good stuff, though newcomers should probably start with his 1970s solo outings first. 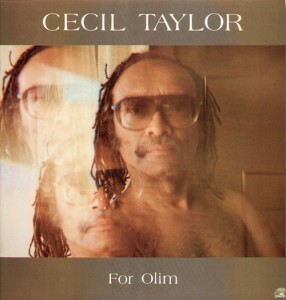 It’s not often that Cecil Taylor is outdone, but I think his band outdoes him here. The duets and drum solo that open the album are the highlights for me, though the rest ain’t too shabby either. A grab bag of stuff that doesn’t seem to belong together on one album. But it’s interesting nonetheless. “Jumpin’ Punkins” is the most intriguing because it’s a full-on Ellingtonian piece, and Taylor plays strange yet oddly fitting comping. 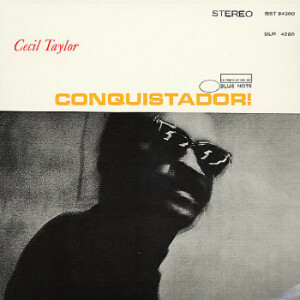 Cecil Taylor solo, live, in peak form. Similar to Silent Tongues, and though Silent Tongues may be the better of the two, this one is fantastic nonetheless. Cecil’s playing is more precise and focused here, though on the other it is more dynamic. I recommend both. Good, especially the title track, but hardly anything that unique among mid-1960s free jazz. I’m tempted to call this a “mainstream” free jazz album. But that would be absurd, an unpardonable oxymoron.